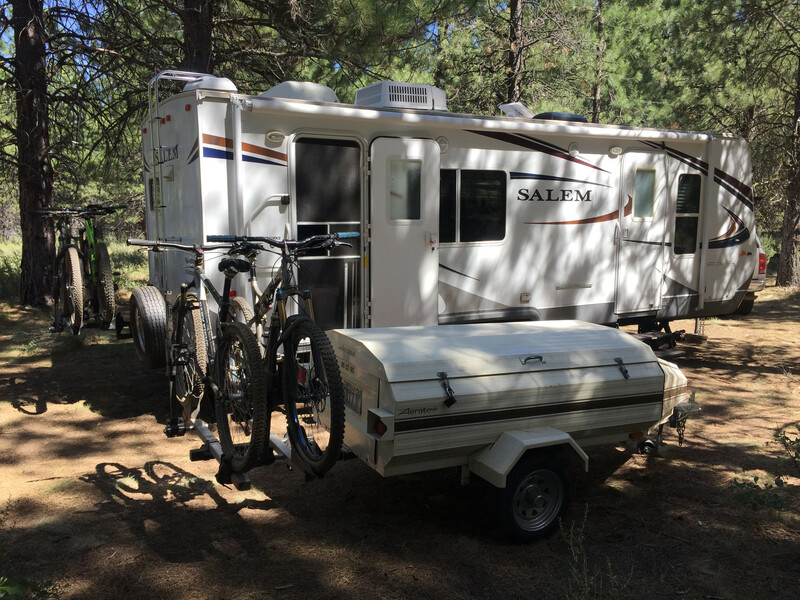 Okay, so I bought a trailer and CVT Mt.Shasta Its not finished but the frame, box and lid are there. These guys will sell you one at many different levels of completion. Rockboxoffroad.com. They also will sell you a top for your m416 and just joined up with Cascadia Vehicle Tents. Battery power system, water storage with pump system, camp lighting(LEDs are great for this), solar battery maintainer system, spare tire. Great ideas thank you. What type batteries did you go with? AGM? Did you use manual pump for water or 12v? Did you find 12v LEDs or use an inverter for lighting? Ok, so here it is. I also purchased the CVT Tent to go with the Rockbox trailer. The annex for the tent, adds a lot of room. Great for storage, changing clothes or kids to sleep. HAHA! Thank you! I'm happy with it. I will get it painted someday as soon as I can stop using it long enough to let the paint dry. Very nice some day I will get to my M101 with the same intent to make a great off road expedition trailer. In the plans are 100w solar panel 2 Trojan 6 volts, LED lights, small water tank with pump and plenty of storage. I won't do the tent as I want a hard shell. Thank you! I've been thinking about adding solar as well. I have a couple of 12 volt deep cycle. Will be adding some LED light. I have my stainless tank and am going to add a pump. Wondered about a hard shell, how big do they make those? What's the box in the front? Water? Yes, the stainless tank in the front is for water. I have not installed a pump yet but hope to this spring summer. Are you thinking of getting or building a trailer or do you already have one? I actually have a trailer I might build out for better performance off road. It's an old Aero Tow that my parents bought like 30 years ago and I acquired. Thinking of putting some extra wheel/tires from my 4Runner on it which would require hub adaptors or new hubs, a lift and new fenders. I would like to check yours out sometime. I'm interested in this kind of thing though my wife is not. She wants a Shasta Retro camper trailer. Ick. I like it! If I had one, that is what I would have done. Good luck on your build. I'll update as I get more done to mine. As of right now I have the rtt on my truck until I get the trailer fixed up and painted. I will be getting another trailer sometime as well. A Shasta retro is cool, but you need a retro truck to pull it with. Maybe that's the angle to use if you wanna old street rod..ha! Good luck on that too.